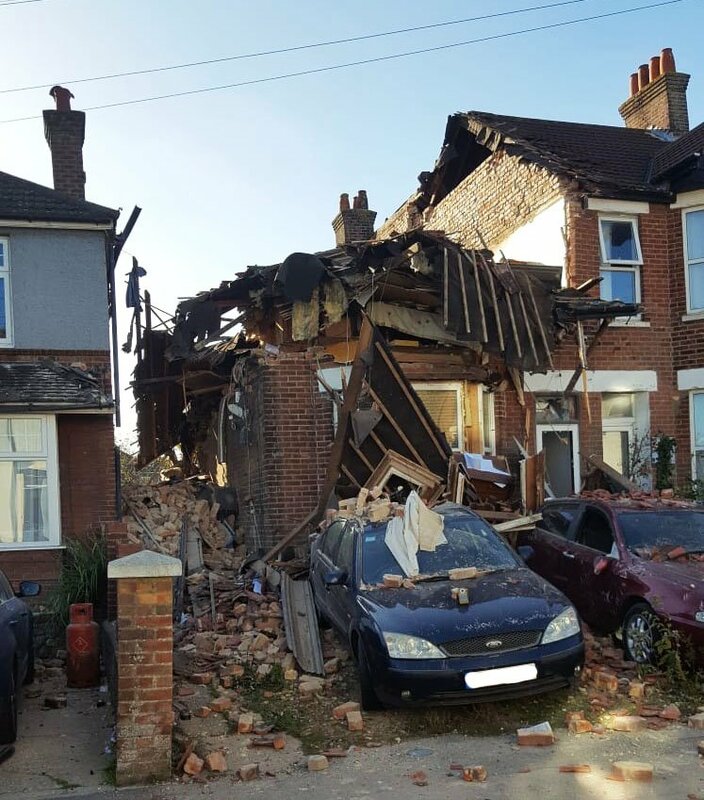 Two people have been injured after a suspected gas explosion at a semi-detached property in Poole. A woman was rescued on arrival from a ground floor flat and was treated at the scene by South Western Ambulance Service paramedics. Two firefighters in breathing apparatus rescued a man from the first floor flat, and he has since been taken to hospital in Bristol by air ambulance. Dorset Police evacuated nearby homes as a precaution and a safety cordon is in place. Work is continuing to ensure that nobody else is within the affected building, and an investigation is underway into what caused the explosion. SGN is on scene and have isolated the gas supply; however, the focus of the investigation is on gas cylinders within the property. Sterte Road remains closed but will be reopened as soon as debris has been cleared away safely.